The National Panhellenic Conference is the umbrella organization for more than 575 College Panhellenic Associations. These associations, comprised of all the sorority women on campus who are members of an NPC member chapter, develop and maintain sorority life and interfraternity relations at a high level of accomplishment on campus. NPC is proud of the work that College Panhellenics do throughout the U.S. and Canada, including the work of the Georgia Institute of Technology College Panhellenic. For the past two terms the all sorority GPA has been higher than the all women’s average. During the 2014-15 academic year the College Panhellenic hosted its 11th annual Safe Sister program, a sexual assault prevention and support program, and its 8th annual new member peer education alcohol and drug program. 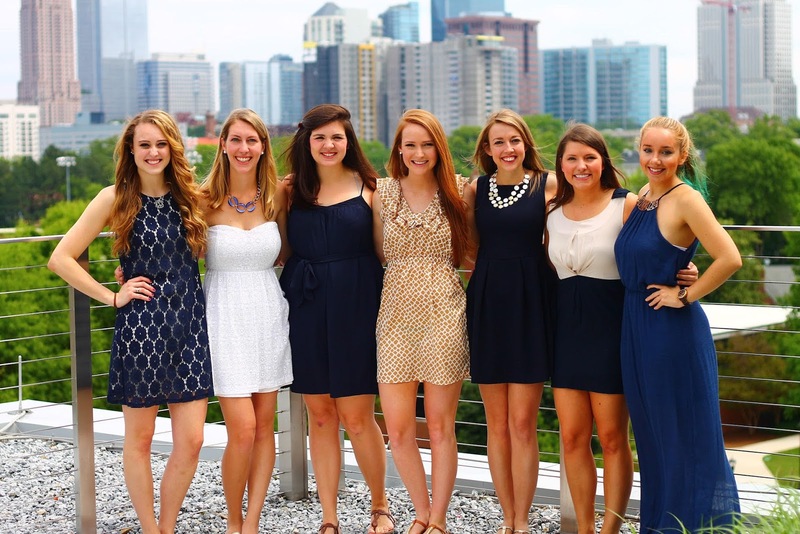 The College Panhellenic makes many efforts to build a united community with the other councils on campus. The Panhellenic Council partnered with the Interfraternity Council and Multicultural Greek Council to sponsor a volunteer event at a Habitat for Humanity build. In addition, the Panhellenic Council teamed up with the Interfraternity Council to teach campus social policy through presentations and speakers. In 2014, the College Panhellenic began a tradition to bring their community together by encouraging Panhellenic women to post pictures to social media using the hashtag #gtpanlove. This movement has shown inwardly and outwardly how connected the Panhellenic community can be outside of individual chapters. During the 2014-15 academic year 1,200 community service hours were donated by the College Panhellenic. The College Panhellenic Association hosts a new member education seminar each year called "PanLove101." To promote academic excellence the College Panhellenic provides the fraternity/sorority community with tutors who are members of the fraternal community and volunteer to help others. To build community with other councils on campus, W&M Panhellenic and Interfraternity Council work together to plan events throughout the year. Members of both communities frequently volunteer together for Arc of Greater Williamsburg. They help with events such as Arc Arts & Crafts, Arc Bingo and Arc Carnival.